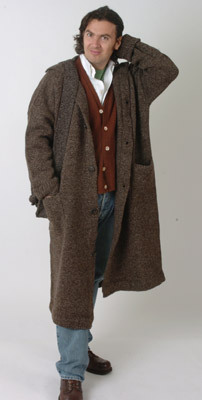 Wool and cashmere cardigan coat. Shown in grey marle, it can be made in the full range of colours. It features roll back sleeves and horn buttons. Worn here over brown cashmere cardigan and with matching shoulder bag.